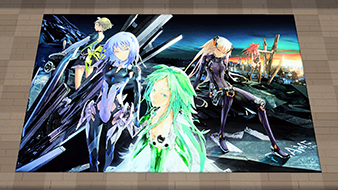 The BEATLESS collaboration is delivering an additional present for those who play PSO2! Saying the specific phrase below will provide gifts that can be picked up at the Visiphone. In unrelated news, Sega buffed the points system for the Rappy in the ARKS Glory Race. …unlike literally every other voice ticket ever? Uh-huh. Better be prepared to hit the visiphones for a second copy.